All photos courtesy of The Siam Hotel. Nostalgists (even the ones who've never stepped foot in Thailand) will have to pick their jaws up off the floor after walking through The Siam Hotel. 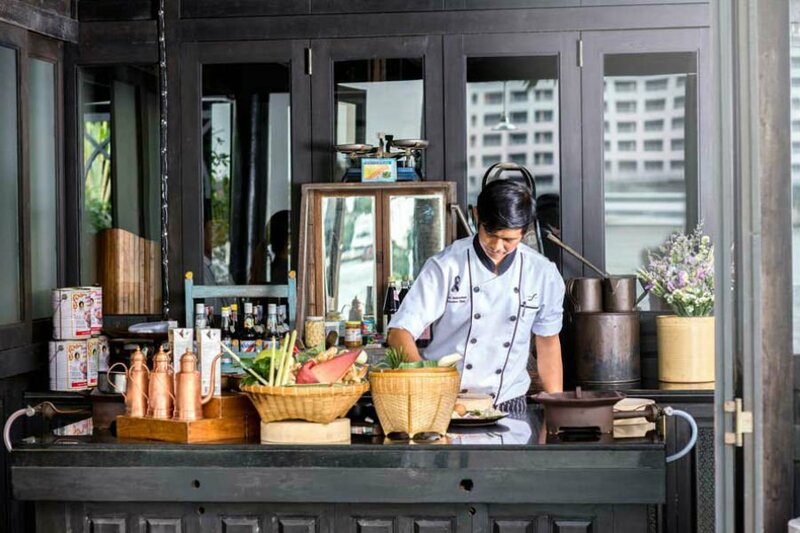 The five-star, 39-room riverside resort in Bangkok's Royal Dusit District is new and modern but echoes the old at every turn. 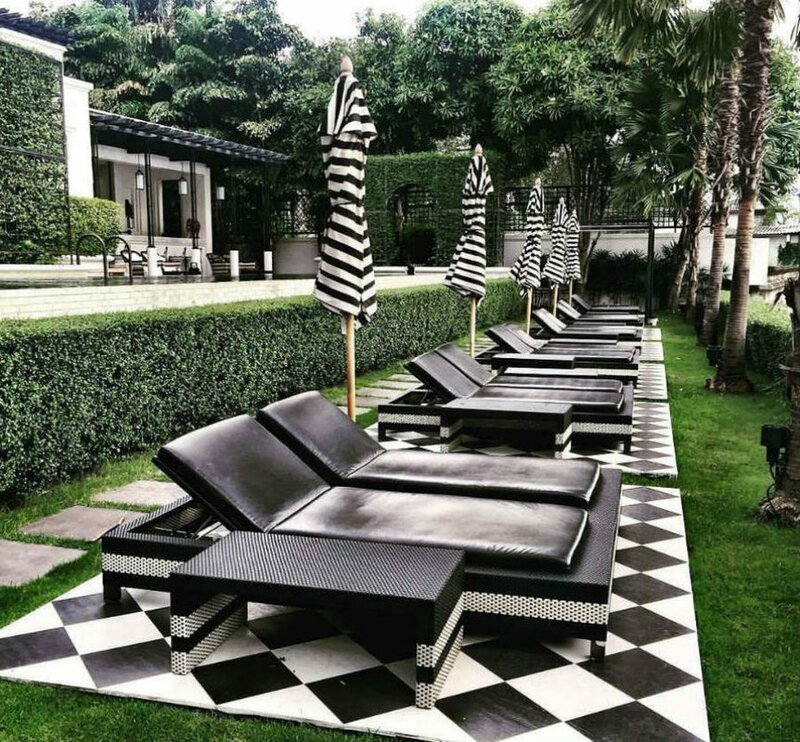 There are no boundaries in time and space — the generally Deco design, dreamed up by global architect Bill Bensley, is punctuated with huge outdoor plants in indoor spaces, old collectibles and antiques from all over the world, a huge infinity pool running parallel with the river. 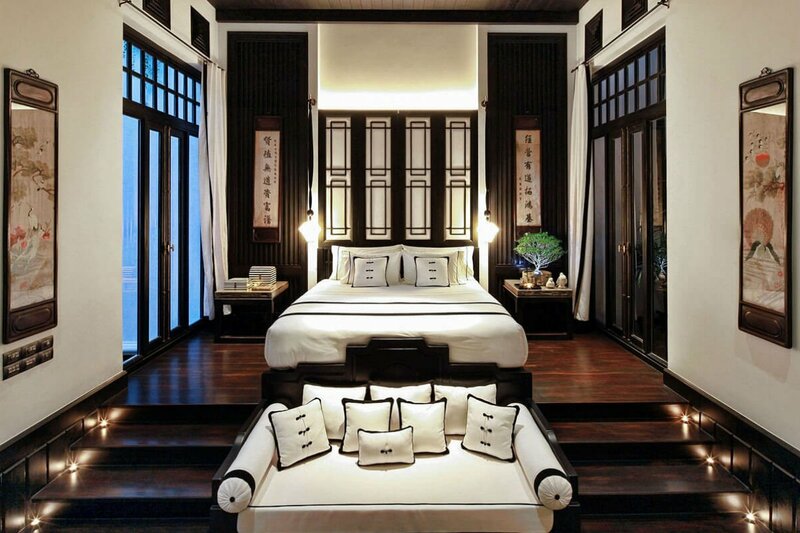 A century-old Thai teak house was floated down the Chao Phraya and reconstructed as the pool villa. Anything's possible here. Vibe: Deco Orientalism — think polished black-and-white surfaces, tufted sofas, geometrics, antiquities, vintage posters, cultural ephemera from the West. Standout Detail: The eclectic, eccentric, whimsical, sophisticated nature of the place. This Place Is Perfect For: Nostalgists and collectors (the place is brimming with antiques). Globetrotting families who like a little hand-holding and don't like to skimp on service. Rooms: Plush Deco-style furnishings, loft ceilings, WiFi, super-sized king beds, personal butlers. Villas have private plunge pools and courtyard gardens. 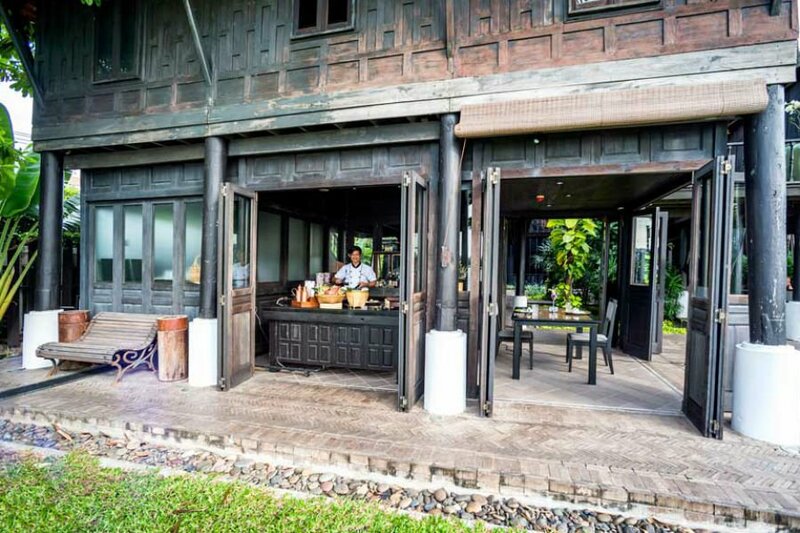 On Site: There's a professionally equipped Muay Thai boxing ring for classes, a well-regarded cooking school, and, somewhat incredibly, traditional tattooing services called sak yant. 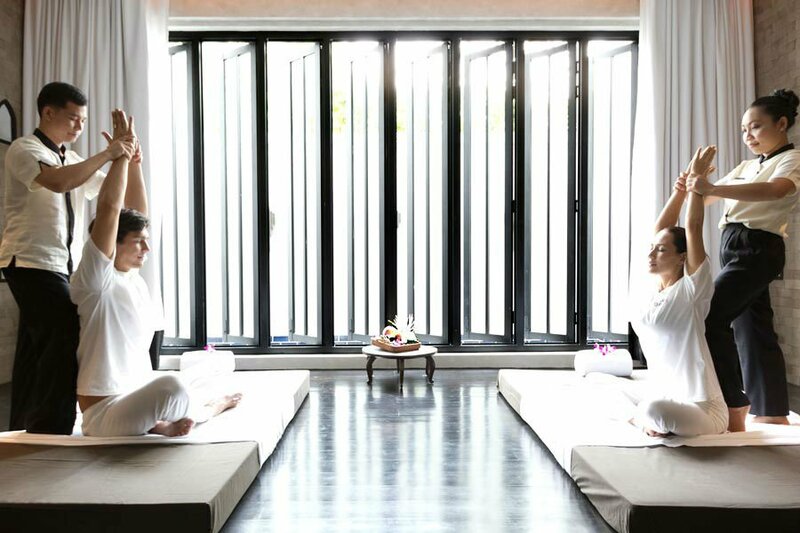 The grandiose Opium Spa offers Thai treatments from head to toe. The Bath House has saunas, showers, and hot tubs. 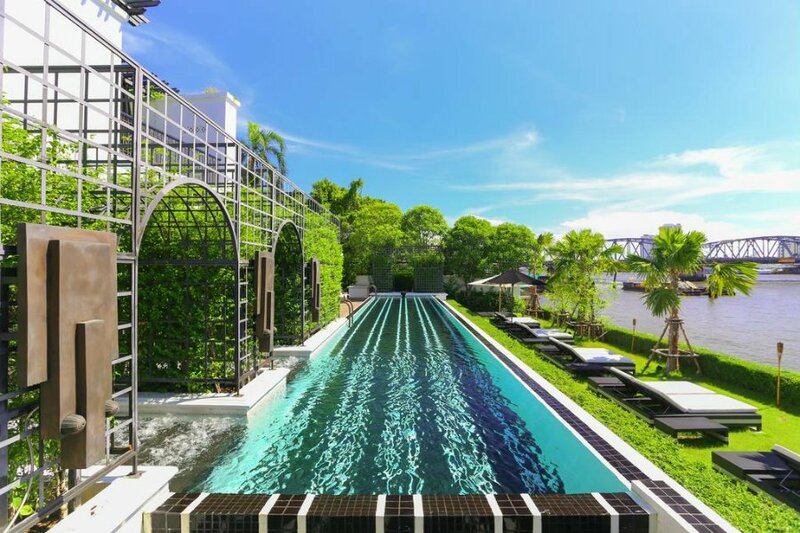 There's an infinity pool with jacuzzi jets, a kiddie pool, music room, library and screening room with retro cinema seats (and nanny services upon request), and free boat shuttles to and from Bangkok's central Sathorn pier. Food and Drink: Thai restaurant Chon has a chef's counter that becomes a cooking school by day. The Deco Bar & Bistro offers Western homestyle options with jazz accompaniment. An all-day patisserie called Cafe Cha serves its lovely tea blends on the shady verandah. Bather's Bar offers casual bites and pre-dinner cocktails by the infinity pool overlooking the riverfront lawn. A private shuttle drops guests at the central hub in Bangkok. The Royal Elephant Museum (16 Uthong Nai Alley), Chitlada Palace, the Buddhist temple complex Wat Po, and the Hindu Temple of Dawn are all less than twenty minutes from the hotel. Slightly further afield is Silom Road (the banking district), luxury shopping mall Siam Paragon, and Chatuchak Weekend Market (which has over 8,000 stalls selling just about everything).